From rock and opera in the Vineyards, to grazing, tasting and snowflakes, Queensland’s Granite Belt is staging some rare and special events in 2019 that are guaranteed to tantilise your senses. Just note, some tickets are limited, so you’ll need to plan ahead soon! It’s the heart of the Granite Belt and it’ll soon be the heart of Rock ‘N’ Roll as Q Live presents Sounds From The Vines Festival, which brings together a blistering line-up of Australia’s most iconic artists to the Stanthorpe Showgrounds on Saturday 23 March 2019 for one massive show! 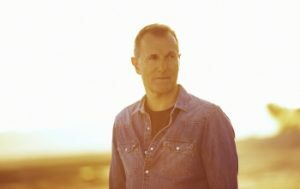 It may be the new festival in town but it will pack a hell of a punch with a line-up of absolute rock royalty featuring James Reyne, Baby Animals, Rose Tattoo, Pseudo Echo and Boom Crash Opera. Hit after hit, witness a day of legendary and unforgettable performances as Sounds From The Vines delivers this rare and impressive line-up for the region. Find a where to stay in Stanthorpe for Sounds from the Vines. 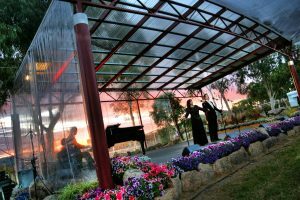 Opera In the Vineyard is a black tie charity event held on the first weekend in May each year in the spectacular vineyards of Ballandean Estate Wines. Held on 5 May in 2019, the event is one of South East Queensland’s premier cultural events and the jewel of the Granite Belt’s social calendar. The 2019 performance is being created by the very talented team at Opera Queensland and promises to be an enthralling and beautiful performance. This year’s theme of ‘Diamonds are Forever’ promises to add a sparkling layer of glamour to the event’s black tie dress code. Opera in the Vineyard attracts up to 1000 guest each year providing an intoxicating mix of music, wine, food and an unforgettable time. The event organisers Ballandean Estate Wines and the Rotary Club of Stanthorpe have donated almost a million dollars to charity since the events inception. Find a where to stay for Opera in the Vineyard. Celebrate the 2019 vintage and end of grape harvest season on the Granite Belt 18 – 19 May 2019, with a showcase food and wine event that literally spans the Granite Belt wine region. Hosted by local chefs and winemakers, spend two days lazily grazing your way across the tastes of Queensland’s premier wine region, at this Autumn’s hot ticket event, ‘Grazing the Granite Belt’, May 18 to 19. Food and wine spots in Stanthorpe, Ballandean and surrounds will serve award-winning wines and dozens of gourmet food dishes, selected especially for this limited ticket event. Saturday 18 May will see visitors grazing their way across the host of participating venues, following their mapped-out plan, or just the whims of their appetite, with unlimited hop-on hop-off buses at their disposal. Eventgoers need only purchase an event ticket to receive ample food and wine vouchers to be redeemed across the wineries and foodie stops, for a full day of wine, cider and wonderful meals prepared with local ingredients by Granite Belt food artisans. On Sunday visitors are invited to gather and share ‘Breakfast with the Winemakers,’ as a large gathering of local winemakers literally cook-up more hospitality and share their wine tales, all by Stanthorpe’s picturesque Quart Pot Creekside. Sunday being the final day of the event, attendees are welcomed to again venture out to the participating food and wine venues, this time on their own, to use vouchers they may have remaining. An event ticket purchase entitles the holder to redeem 4 x Food Vouchers, 4 x Wine Vouchers, 1 x Breakfast with the Winemakers Ticket and unlimited use of the hop-on hop-off bus on Saturday. Special menus are released for this boutique event, with details posted on the Grazing the Granite Belt Facebook page, allowing visitors to create their own itinerary before they arrive. Ticket holders are encouraged to join the Grazing the Granite Belt Facebook Group and keep up to date. Find a where to stay for Grazing the Granite Belt. 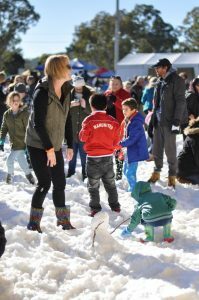 Let it snow in Queensland this winter – and where else than in the cool high altitude of Stanthorpe, where a winter wonderland takes over the Granite Belt’s famous wine region during ‘Snowflakes in Stanthorpe’ festival. From 5 to 7 July 2019 visitors to Queensland’s coolest town will be rugging up to view everything from ice sculptures, to giant snowglobes, plus getting in on the frosty fun with iceskating and hours of fun in the massive snowfield created for the occasion! On Friday the 5th of July, the main street of Stanthorpe will be packed with great entertainers, demonstrations and activities. Rug up and enjoy the on-stage performers, seasonal markets and incredible ice sculpture competition. The whole family is invited to join in on the street parade, the bocce rink, the jumping castles, the snowman toss and the whip cracking showcase. After 5pm, join the lantern parade winding its way to Stanthorpe’s newest icon the Big Thermometer. Enjoy the fireworks before seeking out the local restaurants and bars guaranteed to provide the warmest hospitality around. Join in the fun on Saturday 6th of July at the Stanthorpe Snowgrounds. The gates open at 9am and your ticket price includes a huge range of free activities including the massive snowfield (with under 8’s area), on stage entertainment, fashion parade, movies, giant snowglobes, facepainting, climbing wall, enchanted forest, jumping castles, petting zoo and ‘snow’ much more. Wander the winter markets, indulge in the international food fest and relax in the local wine and beer marquee. The ice skating rink will be available until 7pm at an extra cost per session. The evening ends with a fireworks spectacular and bonfire. On Sunday 7th of July head back to the Stanthorpe Snowgrounds for more great activities. The iceskating rink will be open from 9am and there will be plenty more snow! The market stalls are open from 9am to 2pm along with a classic car display, plenty of kids activities and great on stage entertainment. Recognised nationally is the Australian Small Winemakers’ Show, held annually in Stanthorpe in October and with it comes a standout wine tasting opportunity at the show’s Public Tasting event to be held Saturday 26 October 2019. Enjoy wine tastings from the Show Results Catalogue, showcasing some of the best from the thousands of show entries received from small wine producers all over Australia and New Zealand. The Public Tasting is an exciting privileged look in on what’s been judged hot on the boutique winemaking scene, served with finger food, a buffet and live entertainment. 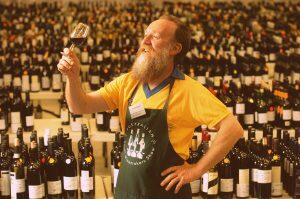 The ASWS is the only Wine Show in Australia that provides the opportunity for a member of the public to go behind the scenes and experience what happens during a wine show. The “Judge for a Day” experience is a unique opportunity for the winner to be involved in all activities that occur during a Wine Show, from judging wines as an associate judge to participating as a steward pouring wines in the next class to be judged. The opportunity to become a “Judge for a Day” at the 2020 ASWS will be auctioned at the 2019 Public Tasting.